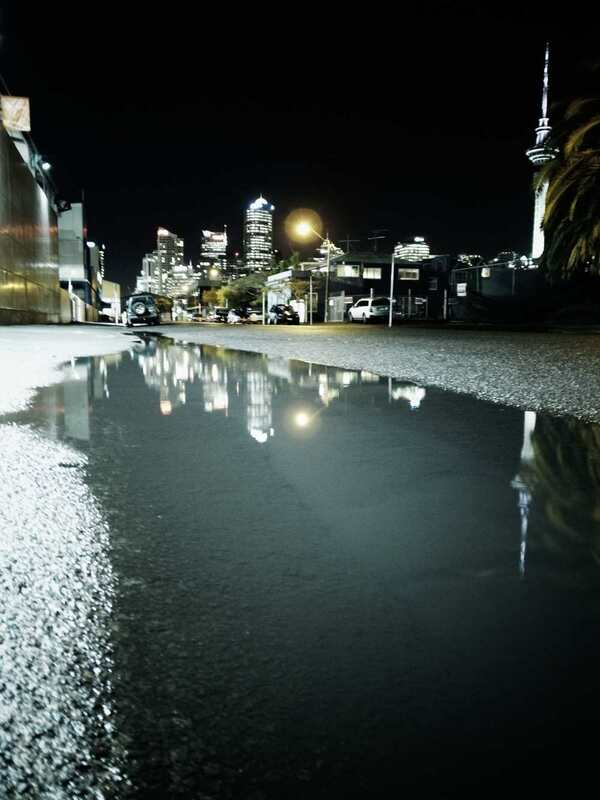 Another wet Auckland City image taken on my Ricoh. I was having a walk along the outskirts just after dark when I notice the reflection of the city in one of the larger puddles. Unedited from the camera, I love the colors and the lines. Perhaps a ‘rats eye view’?